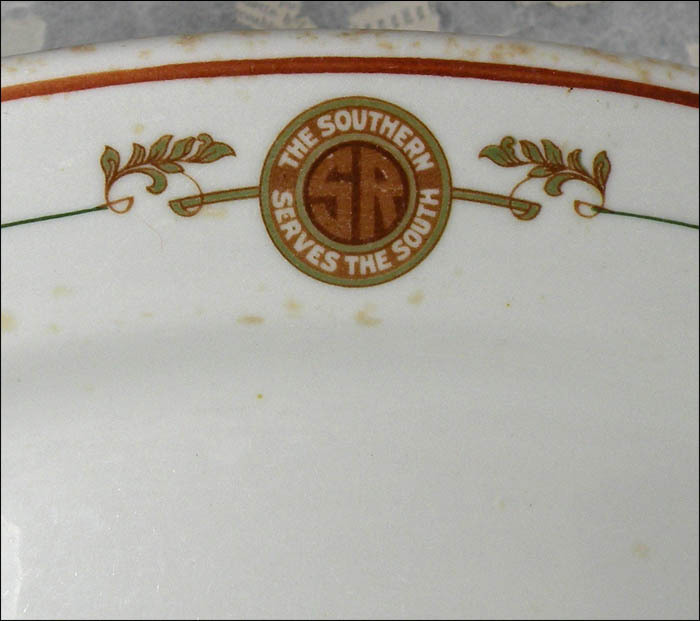 This is a fine example of the hard-to-find Peach Blossom pattern with "The Southern Serves the South" topmark. 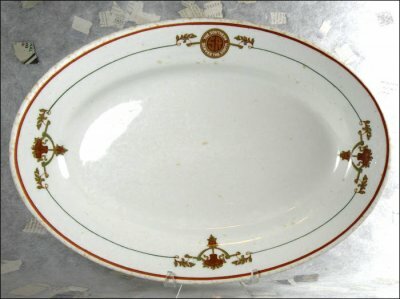 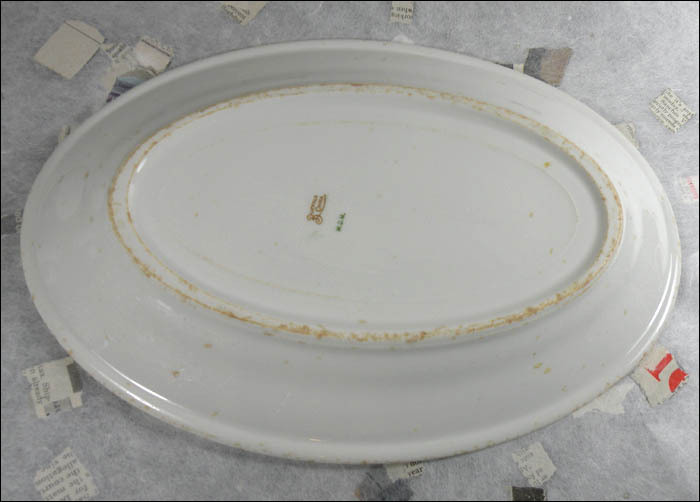 The platter is 11 1/2" by 7 7/8" and has all over wear and age spots, as noted in the photos. 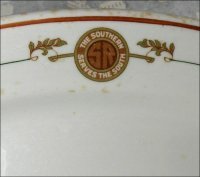 The design and decal are still shiny and strong, and there are no chips or cracks.